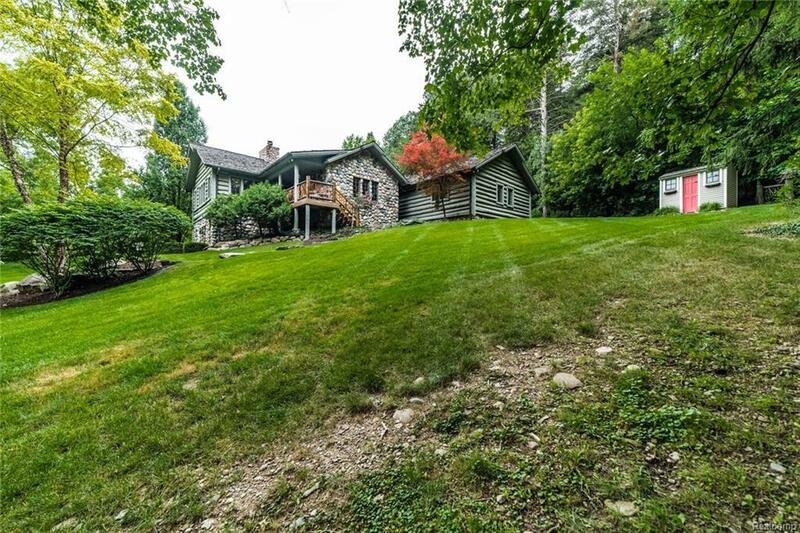 Northville's iconic Log home is available! 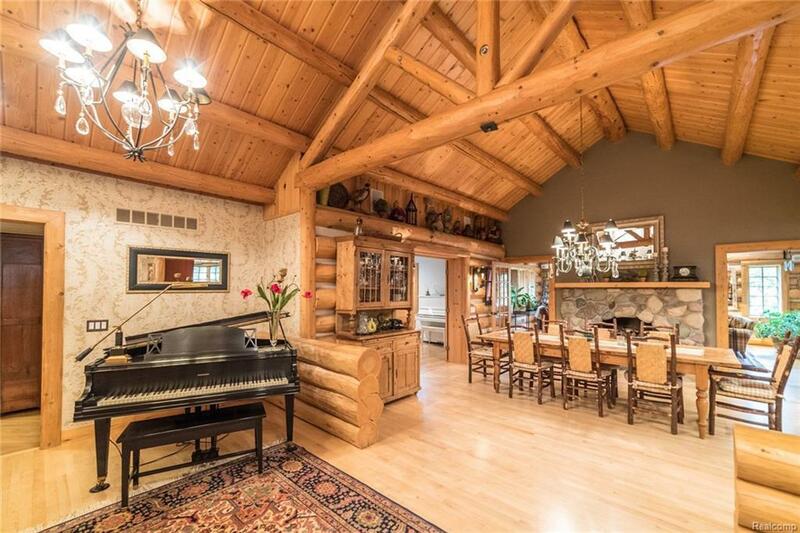 The one-of-a-kind masterpiece features 2x6/log face construction; twiggy exterior railings and cedar shake roof. Interior features include beautiful maple and hickory flooring; chef's kitchen with Thermador range, butcher block island, Pewabic tile backsplash and leathered granite countertops. The master suite features a beamed, cathedral ceiling and luxurious marble bath w/ clawfoot jetted tub. The finished lower level walkout features 8' ceilings; a large rec room; 50's style diner/kitchen; "gas station" style bath; exercise room & multi-purpose room. (One lower level BR with cork flooring currently used as craft room.) 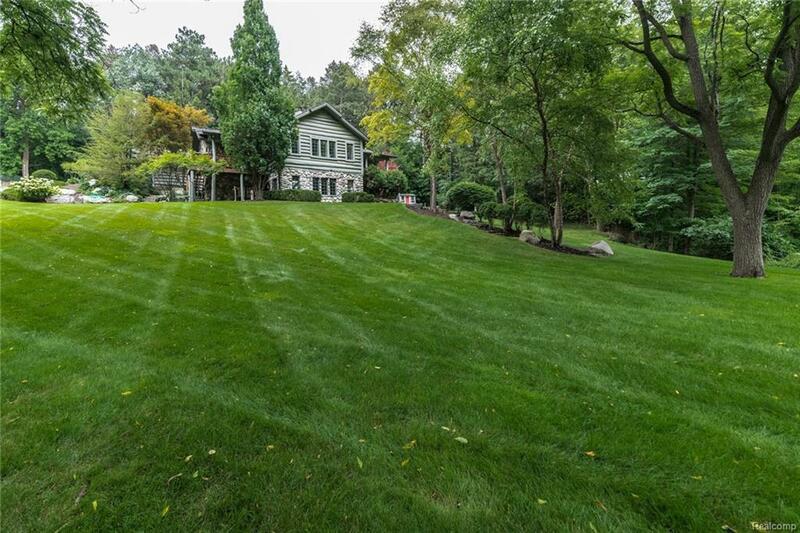 Dual mechanicals; cedar closets throughout; surround sound system; central vac; attic fan; dual heating updated in 2016; 4 covered porches; two separate garages and well for outdoor irrigation. 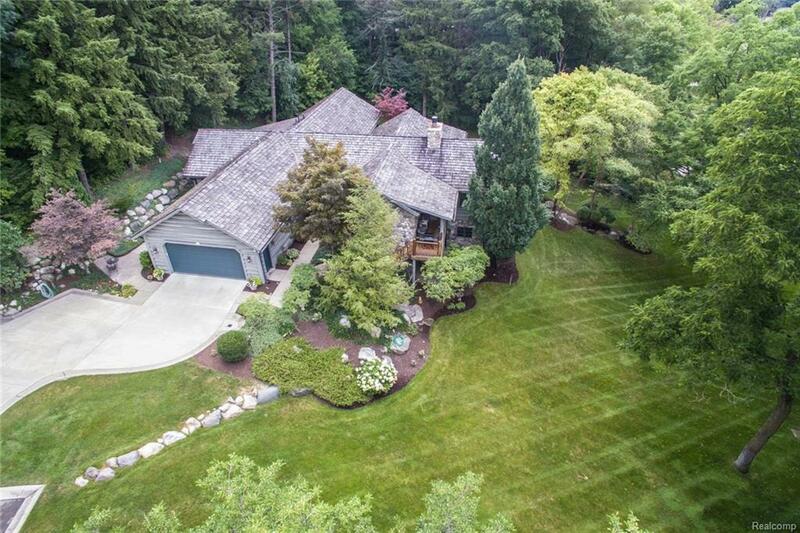 View our virtual tour with 3D walkthrough, dimensioned floor plan and full set of professional photographs. IDX provided courtesy of Realcomp II Ltd., via Exp Realty-Northville and Realcomp, ©2019 Realcomp II Ltd. Shareholders.